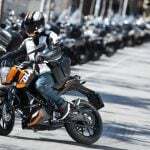 KTM set a new company record with 107,142 motorcycles sold in 2012, with a lot of credit given to strong demand for its small-displacement naked Duke line. The 125 Duke and 200 Duke have been popular sellers in Europe while Indian consumers accounted for more than 8000 units of the 200 Duke alone. 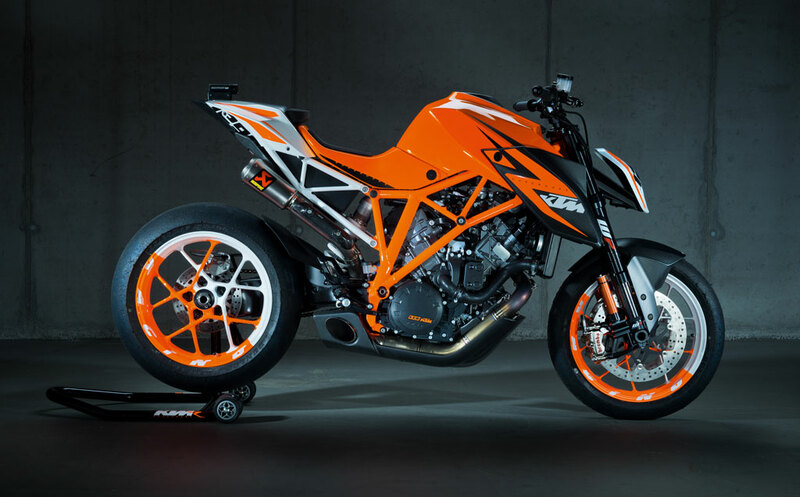 KTM will try to maintain its momentum with its new 390 Duke, not to mention the 690 Duke R and the upcoming 1290 Super Duke R which was unveiled in prototype form at the 2012 EICMA show in Milan as the eventual successor to the 990 Super Duke. With six models bearing the Duke name, they’re all bound to have some similarities, but what are the differences besides their engine displacements? 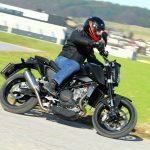 Quite a bit, it turns out, according to Peter Gorbach, KTM head of engine development. 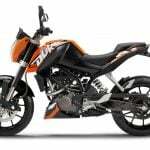 In an interview on KTM’s official blog, Gorbach discusses the differences between the new small displacement 125, 200 and 390 Dukes, the big thumper 690 Duke and the upcoming V-Twin 1290 Super Duke. The 125 and 200 share the same base and differ in bore and stroke, with the 200 Duke getting new camshafts and larger valves. The 373cc engine in the 390 Duke, however, required some additional engineering. The architecture is essentially the same but 390 needed a larger crankshaft and clutch to handle the higher levels of torque. The 390 Duke also uses a forged piston compared to the cast pistons used on the smaller Dukes, and it also uses a different cylinder design. The cylinder head design is similar but the 390 uses different valves and springs. As a result, the 390 Duke was more expensive to develop because of its higher-strength engine components. While the 390 is rumored to eventually be offered in North America, none of these smaller-displacment Dukes have been announced as yet for these shores. 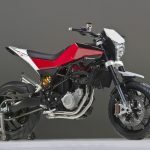 What will be available is the 690 Duke which has been confirmed for the U.S., after originally being offered in Europe with its current engine in 2012. 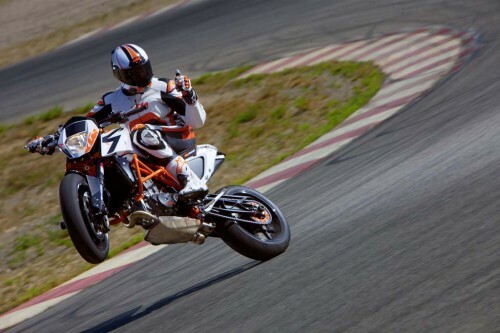 At 690cc and claiming 67 hp and 51 ft-lb., KTM is calling it the world’s most powerful street-legal single-cylinder engine. 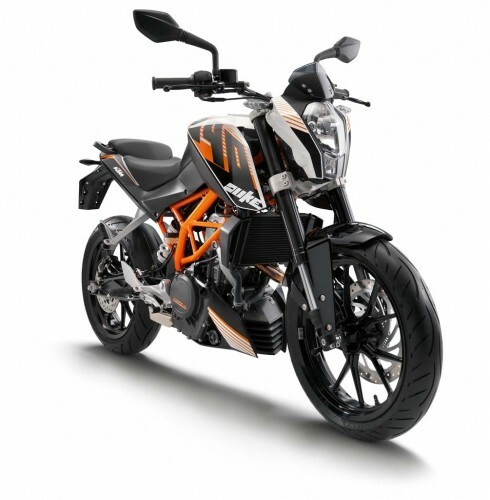 The 1290 Duke’s engine is a different story, as it is based on the existing RC8 R’s V-Twin engine instead of a Single. Gorbach says he was surprised how little time it took to develop the enlarged 1290cc version of the 1195cc RC8 engine. A bigger challenge for Gorbach and his team is knowing when to stops tinkering. “As an engineer you always think ‘well, that’s all I can get in terms of power, there’s the limit’ but as you work through it you think ‘maybe I could change that, or swap that’ and when you finish you find yourself with twenty new ideas with which to push the limit again!” says Gorbach.